Stampsnsmiles: A Brand New Look! So.... how do you like it? I'm back with a brand new look to my blog ... so no, you're on the right page just in time for a whole new feel. And an enormous thank you to my good friend, Ben, for your wonderful, patient, good natured expertise. I just needed some white in my life, how about you? Oh, I could easily have white and cream for my entire home. I really am kind of a shabby chic gal and I don't mind one bit if it's a bit dated. I happen to love it! And I just may go back to that - starting with my blog which is my creative outlet. Do you have a creative outlet? I'd love if you'd share - just leave a comment for us to enjoy. Tell us a little about your creativity and what keeps the ideas and spark flowing. I will choose one person to receive a fun bundle of goodies - think tags and bags! When life gets busy, it helps my creativity if I have wide open spaces and white, white, white. Plus any card goes well on white, right? So now, on to the card. Is this so cool or what? 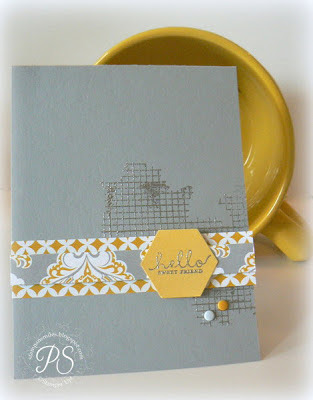 I love the new Eastern Elegance Designer Series Paper with it's Smoky Slate and Crushed Curry on Whisper White. Actually I think I'd like to design an outfit around this. How about the print for a fun skirt, silver shoes, a Crushed Curry sweater and a Whisper White tank top. Shoot - I bet I could get away with my Summer Starfruit sandals. Nah, on second thought, I really, really need a pair of silver sandals. 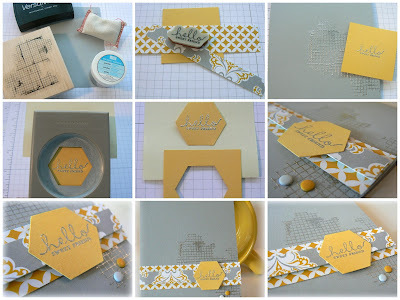 Maybe I could get it all pulled together in time for the Stampin' Up! convention.... hmmm. Here's a quick outline of how I created it. Kind of a Ten Minute Tuesday - on a Saturday! I missed posting last week, so thought I better make it up to you all. The strips are 1" and 3/4" wide. And here some of the products I used. I love them all! 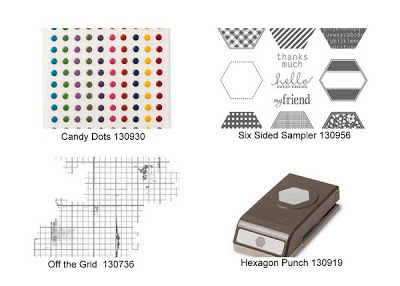 Now, if you need any of these, please shop here! Or.... interested in my Designer Series Paper Product Shares? Get a 6" x 6" piece of all 78 new papers. Check it out here! 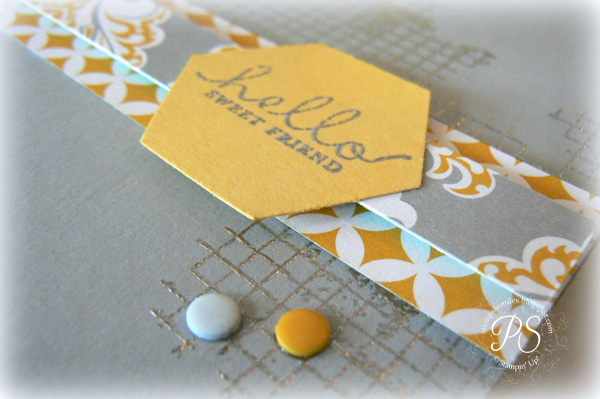 I just adore that embossed background! Such a cool looking card... All of those products may be on my wish list now! Love your new blog look! But, this card is a stellar! I gotta try my hand at this! Thanks for step by step photos. Looking forward to many more great projects. Love both the new blog and today's card! Tlhanks for the beautiful inspiration. I always look forward to your creations. The new look is gorgeous, just like your card. I feei there are so many ways to become inspired. It could be a pattern on a dress, pinterest, etc. 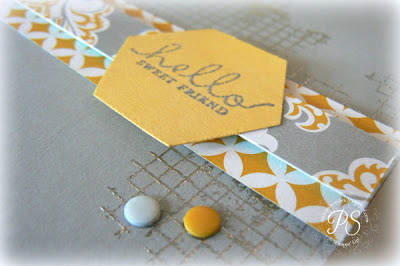 Love your new blog look & the card is super great! My home is beige and neutrals because I crave the light feel and calmness it gives. Shopping in a mall, looking on pinterest, and seeing your creations give me tons of creative sparks. For instance, now I "need" the wonderful products you showcased today. Thanks!! !